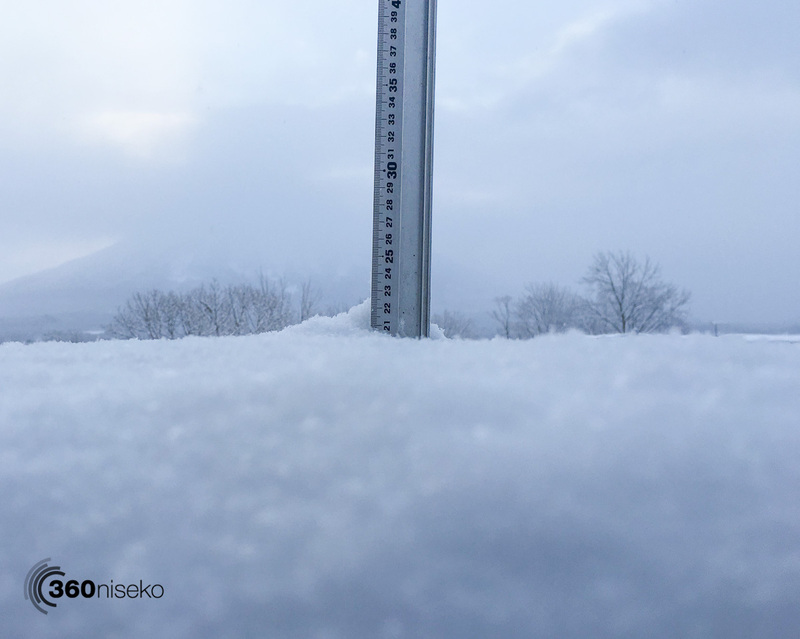 *20.5cm of fresh snow has fallen in the last 24hrs in Hirafu Village. At 7:00 today the temperature was -5°C. Yesterdays wind weather has finally calmed down and this morning it will be interesting up on the mountain! From last night we had heavy snowfall so this morning will be incredible – all the lifts besides the beginner lifts have been closed for 2 days…..we don’t know what lifts will run but guess he gates won’t be!! There will be ridiculously deep wind blown sections out there. Be careful people and have fun!